Not just a cookie jar, it's a Mickey Mouse and Pluto cookie jar! 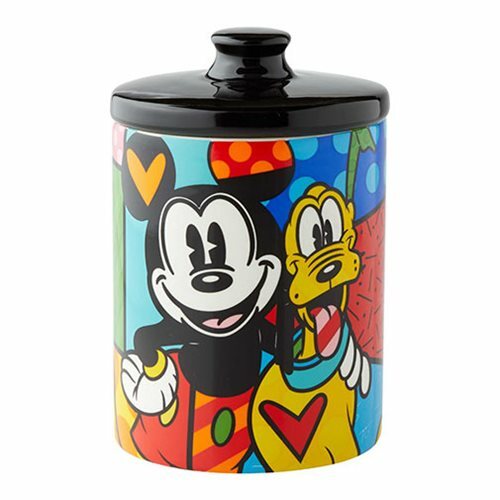 Keep your cookies in a happy place - the Disney Pluto Canister Cookie Jar by Romero Britto. This colorful stoneware container measures about 6-inches tall x 3 3/4-inches in diameter.